in New York. 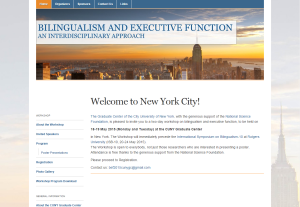 The Workshop will immediately precede the International Symposium on Bilingualism-10 at Rutgers University (ISB-10, 20-24 May 2015). The Workshop is open to everybody, not just those researchers who are interested in presenting a poster. Click here to go to the workshop’s website.